Born in Dhuri, Punjab, Manjit Bawa studied at Delhi Polytechnic from 1958-63 under eminent artist-teachers Somnath Hore, Dhanraj Bhagat and B. C. Sanyal. 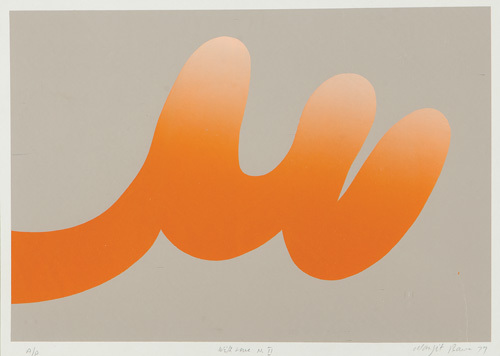 He then lived in England from 1964-71 as a silkscreen printer and studied painting. 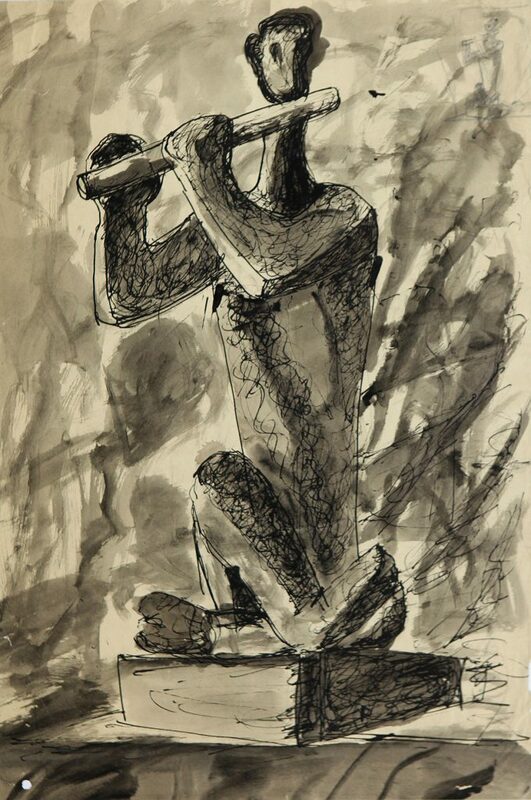 Upon his return, he taught at Delhi’s College of Art from 1975-77 and began the discovery of his painterly identity. Not wishing to paint in a Europe-derived style, he began exploring Indian mythology, folktales and love legends for themes. Sufi poetry, spirituality and music inspired his signature rounded forms suspended against rich flat grounds. 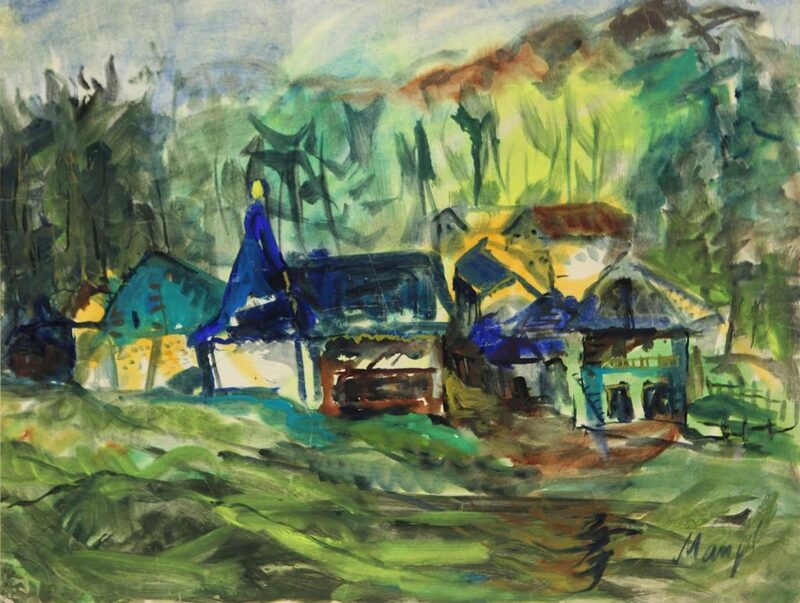 His Indian themes also suggested his vibrant and lively colour palette – reds, oranges, yellows, greens and blues. Nature, birds and animals occurred frequently, along with the flute, which suggested the flute-playing legendary figures of Krishna and Ranjha. 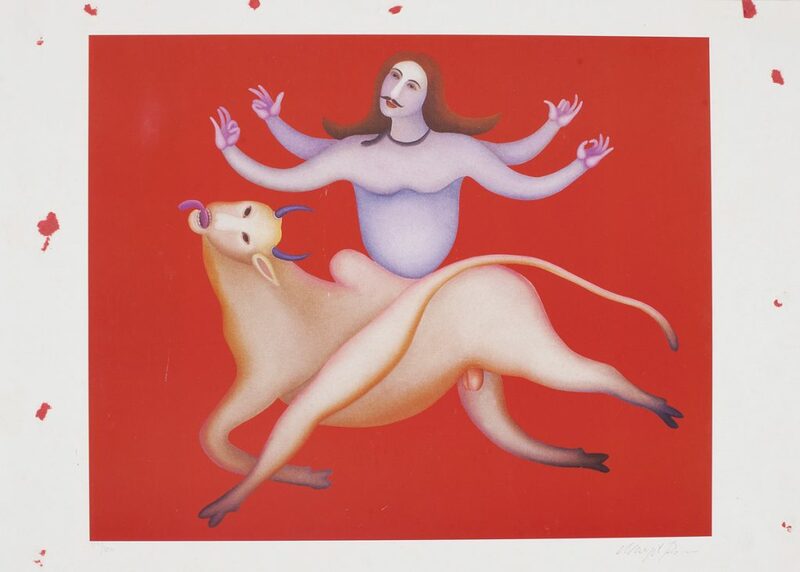 Bawa established a silkscreen workshop at Garhi Studios, Lalit Kala Akademi in New Delhi, achieving in his prints the same luminescent colours of his paintings. The 1984 anti-Sikh riots in Delhi saw him organise peace marches and participate in several anti-communal projects. 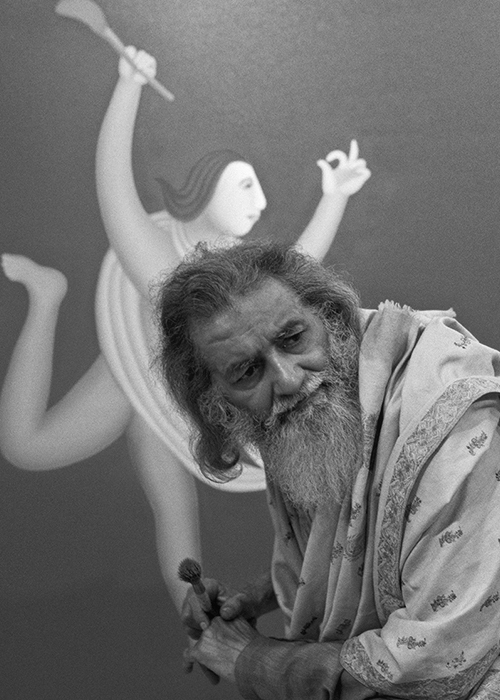 A much-feted artist, Manjit Bawa was awarded at the first Bharat Bhavan Biennale, Bhopal, in 1986, and received the Lalit Kala Akademi National Award in 1980 and the Dayawati Modi Annual Award in 2000.